CommunicationWe’ll be texting, calling, emailing — however you want to receive news and information — you’ll have it immediately after we get it. We’re here for you every step of the way. Looking at the chart above and with the average day on market (how many days it take to get an accepted offer) as of Aug 2018 we are at 38 days on market in Tucson. 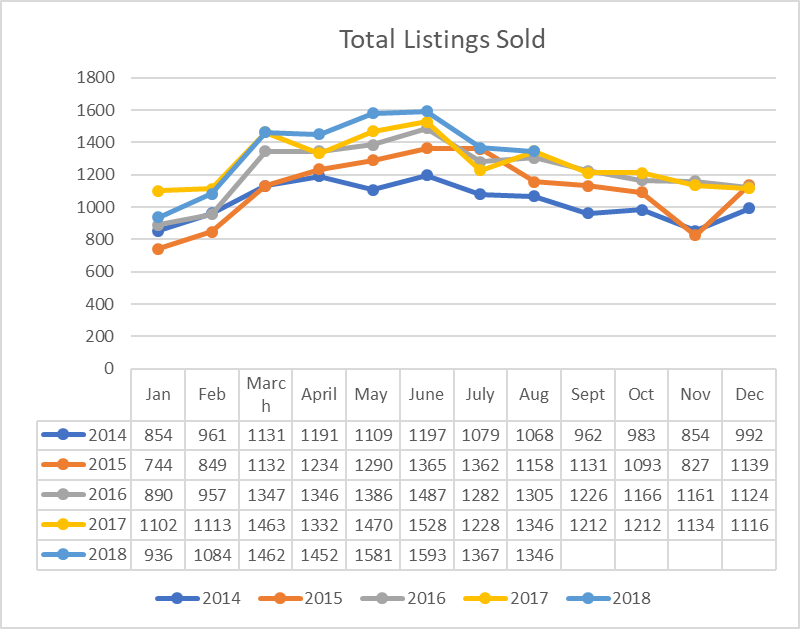 Between March – Aug with July dipping a bit in home sold. I would get my home on the market Sometime in the first quarter of the year. You do have to remember, people buyer and sell in Tucson year round, we have great weather all year round. We are fortunate to have people come from all over to enjoy our mild winters and decide to become winter visitors. We also have families that need to get into a home before the new school year starts. Life happens, people’s families grow, we downsize, we invest, and so much more! Tucson is a beautiful town and I am lucky to have lives here all my life!